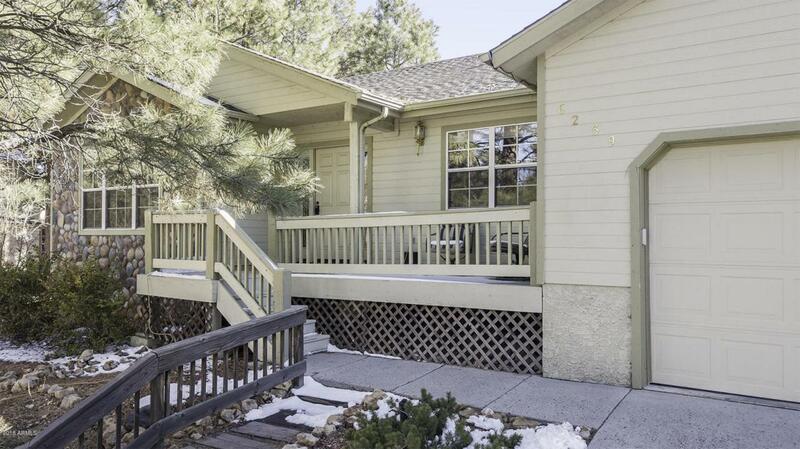 Take a stroll around the duck pond, hike the trails of Walnut Canyon or run your dog on the easily accessible State land. This home is also walking distance to the Bear Paw pool and kids recreation facility which is available for family memberships to owners in Walnut Ridge . Sitting high above your neighbors, enjoy the ease of living on one single level. 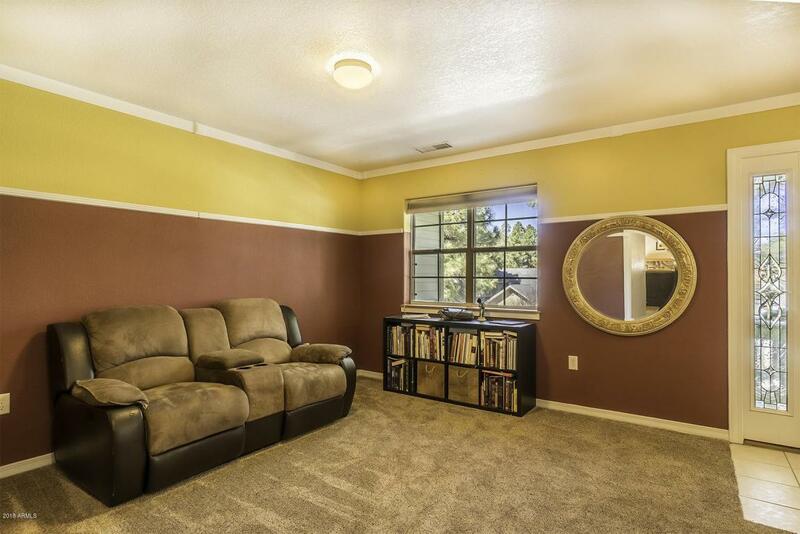 The living room as you enter this home, provides a separate get away from the open Great room. An island kitchen with tons of cabinets & counters plus dining area have views of the rock fireplace & the additional space for family living. 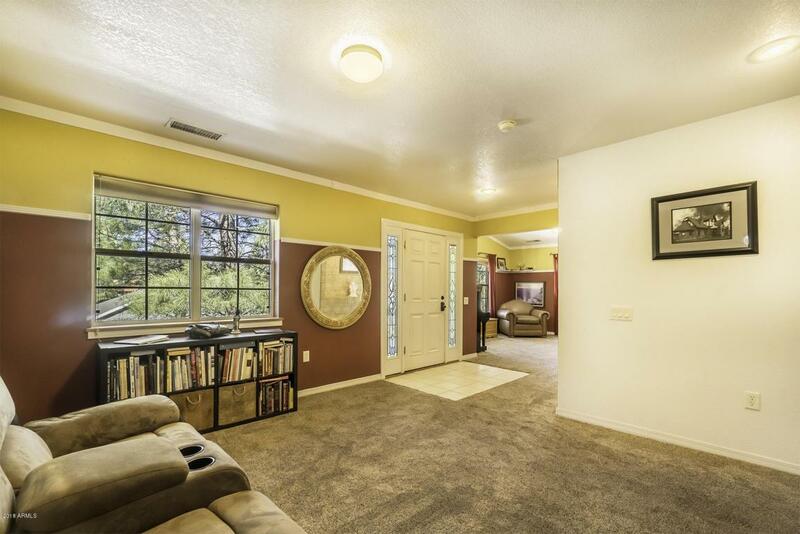 The vaulted wood ceiling gives you the feeling of a cozy mountain home. 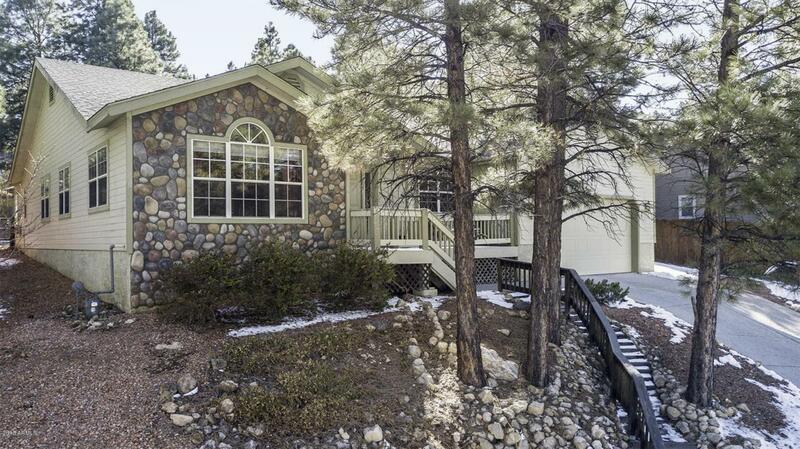 Windows look out to a large fenced yard with Ponderosa Pines and plenty of space to enjoy your summer bar-be-ques.